Hamburg, a modernistic and beautiful city enjoyed by its locals and foreigners from around the world. It plays a significant role in Germany’s transportation networks, especially when it comes to cargo. 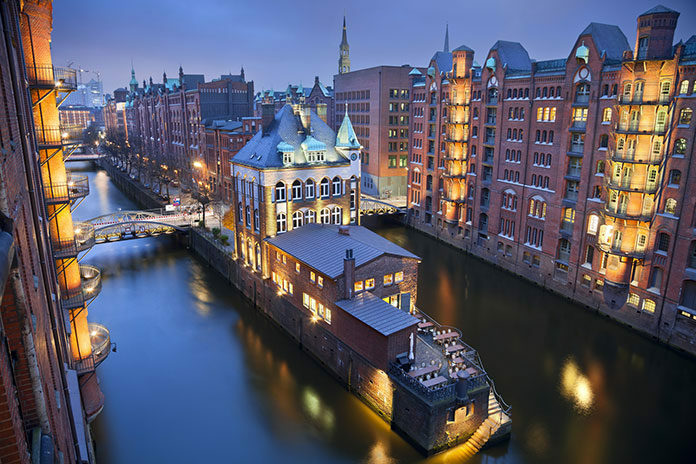 Hamburg is home to the second largest port in the country and in total it is crossed by a hundred canals. This beautiful city consists of seven large neighborhoods each offering golden opportunities for expats and students in Germany. Our favourite five are Mitte, Eimsbüttel, Altona, Wandsbek and Hamburg Nord. This neighborhood is possibly the most entertaining in the city. 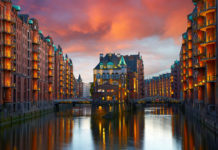 Mitte is the city center of Hamburg and it is home to the city’s most iconic buildings, landmarks, culture and history. It goes without saying that this neighborhood is very touristic and it has several commercial centers. Furthermore, Mitte has a remarkable nightlife, especially in the area of St Pauli. One can say that this part of the city never sleeps! Renting in this area is quite expensive when compared to the other districts, however, you will be benefitting from all the city has to offer. It is recommended that if you plan to move in this neighborhood, plan well before arrival as, it can prove to be quite challenging to find accommodation. Made up of seven quarters, this neighbourhood is the smallest one in Hamburg and the most densely populated. Despite being the smallest neighbourhood, it does not lack in style or modernity. It is renowned for its beautiful classic buildings and one can find ample luxurious restaurants, bars and lounges. Moreover, even though it is quite busy, it also offers several places to interact with nature and escape the busy and hectic lifestyle. Situated on the right bank of the Elbe river, this neighbourhood was once an independent city, until 1937. 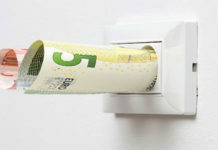 Nowadays, it is quite similar to Mitte with regards to the entertainment sector. You will find many places to dine, drink and party in this area. It is also a renowned area for high class residents, offering luxurious restaurants, bars, exclusive shops and a more than decent nightlife. It often sought for its shopping possibilities and nightlife, however, it is also rich in history and culture having ample museums and historic buildings. This neighbourhood is a peaceful, safe and relaxing one. On the contrary to the above, Wandsbek’s main attractions do not include clubbing and nightlife, but mainly boasts a healthy and natural ambience targeted for families with the aim of settling in. Despite not being in the city centre, it is easy to get to the city with a small and quick commute. It has many parks and stadiums in the vicinity offering many exercising possibilities. A neighbourhood similar to Wandsbek, offering a tranquil and quiet ambience. It also attracts many families seeking large comfortable properties at reasonable prices. The further from the city, the more urban it becomes, offering ample countryside for its residents to enjoy. Hamburg offers countless opportunities for professional expats and students moving to Germany live and work. Visit our website for more information regarding Insurances, Relocating, Visas & Permits. Next articleMoving to Munich? Here are some Tips!